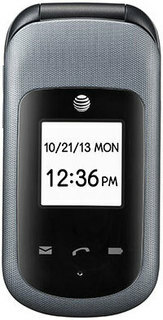 The Pantech Vybe is a decent messaging phone, but there's just so little new here that I don't understand its place in AT&T's lineup. It's almost the same phone as the Pantech Renue, and I'd probably get the Renue instead for its eco-friendly, more durable build and slightly better call quality (though the Vybe has a somewhat sharper display). If you must have a keyboard, your only other option is the LG Xpression 2, which we haven't tested yet, but looks similar feature-wise to the Pantech devices. Featuring a QWERTY keyboard and a 3-megapixel camera, the ultrabasic Vybe is available for just $30 on-contract. 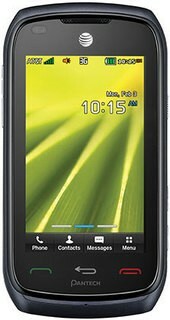 The Pantech Breeze IV is a fine little phone, but definitely has some limitations. It's hard to ask for much more from the hardware itself. The B4 is an inexpensive flip phone, which means we can't expect the world. The hardware works well enough for anyone considering a flip phone, though I wish it were easier to get at the memory card slot. When it comes to actual performance, the Breeze IV is rather weak. Calls aren't loud enough by far, signal performance was mixed, and battery life was disappointing. These are offset by the great screen, and easily customized menus. The software is a cinch to figure out, but doesn't offer much in the way of advanced features. Sure, you can listen to music, surf the web, and take pictures, but none of these are very satisfying as realized on the Breeze IV. In many ways, the Pantech Discover is more impressive than some phones we can name at twice the price. It can’t compete directly with the big flagship devices, but within the realm of budget phones it’s well worth the asking price. For just $50 on contract at AT&T, you get a large screen, good performance, long battery life, comfortable design, and a decent camera. The cool speakers are just icing. With its crisp display, above-average performance, excellent camera and fast speeds on Verizon's 4G LTE network, the $99 Pantech Perception has the makings of a great buy. We especially like the Starter mode for first-time smartphone owners. Unfortunately, our perception of the Perception is clouded by a battery that won't last you through the workday. If we were back in January, the Pantech Perception would be a halfway decent mid-level smartphone for the price. But as we mentioned earlier, with higher end devices from last year being discounted down to under $100 on-contract, it is really a tough sell for the Perception. Even though we like its 4.8” 720p Super AMOLED display, overall styling, and ease of use, the poor camera quality and digital-sounding call quality is holding it back – not to mention it comes running Android Ice Cream Sandwich instead of Jelly Bean. Pantech did an admirable job with the Perception. It has a simple but charming design and offers more customization options than most other devices. The Perception's screen is quite good, call quality is excellent, and battery life is stellar. 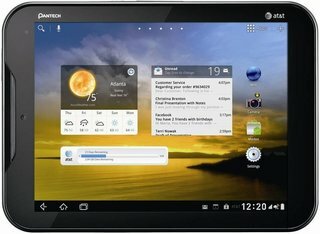 Though I wish it had a more modern version of Android, the software tools added by Pantech give the Perception plenty to work with. The performance of the software was fine across the board. About the only thing that really bugged me was the weird focusing issue with the camera. The Pantech Perception is a fine addition to Pantech’s archive of relatively unique devices, and makes one wish they’d continue to push forth in the USA for a more on-time release. This device could have been a really great addition to Verizon’s ranks if it’d been brought to the market right around a year ago. Unfortunately, since it’s being shown here in the Spring of 2013, this release falls flat in the face of its much more robust competitors. 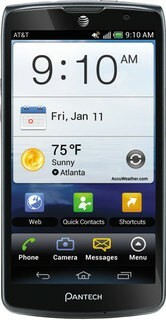 While the Pantech Discover is not a Samsung Galaxy S it is however a great device at great price. 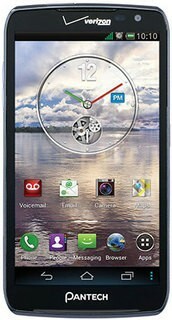 This phone is snappy, with a large display, decent camera, great speakers, great design, and AT&T's 4G LTE network. If this phone was 200USD on contract I'd have a hard recommending it however for only 49.99USD on contract I have no problem recommending this device. The Pantech Discover is stylish and affordable without compromising on functionality. If the handset had launched six months ago, it would have been one of best value offerings in the Android smartphone game. Unfortunately, it missed its chance and now it's merely a decent proposition in its price range. I've had this phone for over three years now, giving it constant use and dropping it all the time, and it's never failed on me. Granted, it doesn't have all the features that smartphones have, but what it does have it does great. And it's cheap. I recommend it. Worst phone I have owned. I finally found a phone that is easy to use, and works well. It even has Font sizes which enables you to make the letters larger. Bluetooth capable and was easy to add to the car. So far the phone works great. This is the best phone I have ever / will ever own. Awesome Phone! I LOVE everything about it! I like this phone because it syncs with my outlook. It doesn't require you to pay for the internet package. I've used it for a year. I recently changed to a new phone and wish I hadn't. The new phone didn't sync with my 2002 outlook that I use with my Pocket PC. I switched back. It's a good little phone. Visit the Pantech Q&A Forum to get answers, ask a question or help others.